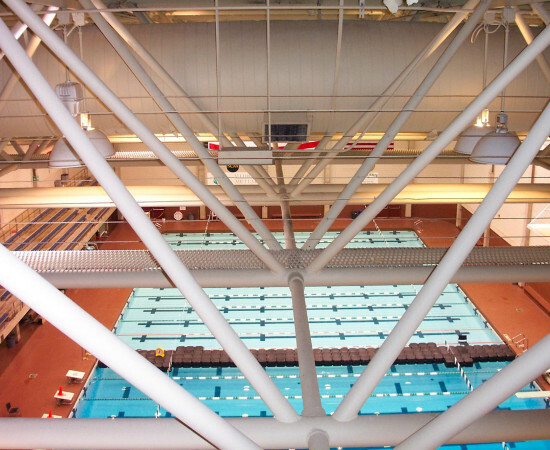 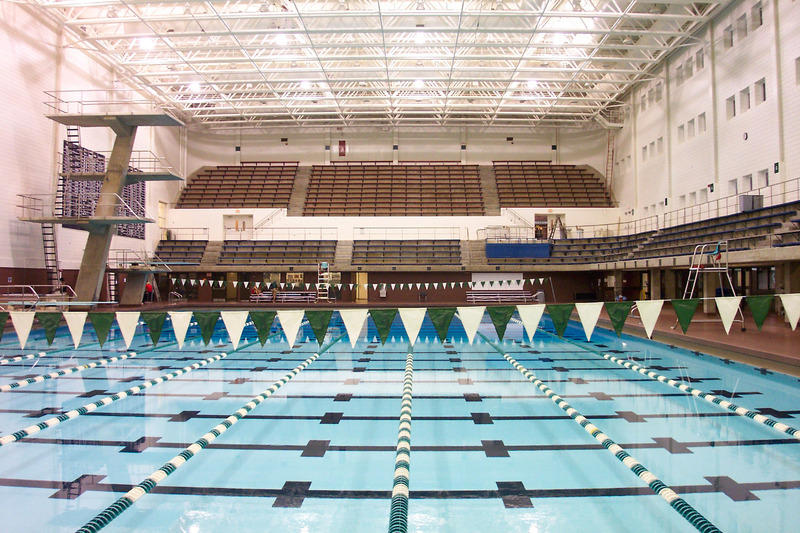 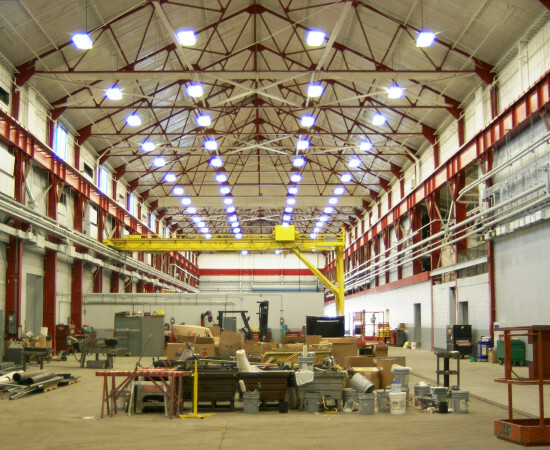 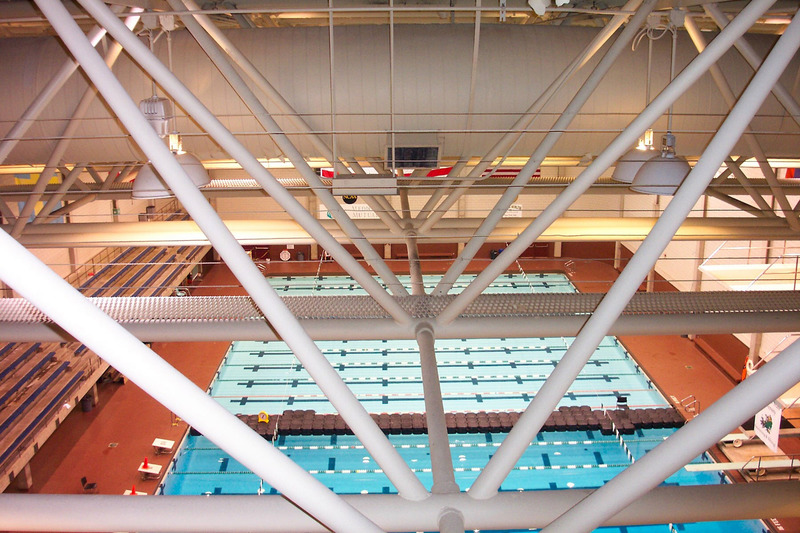 At the Natatorium of Cleveland State University, peeling paint was removed from the ceiling by corn cob blasting. 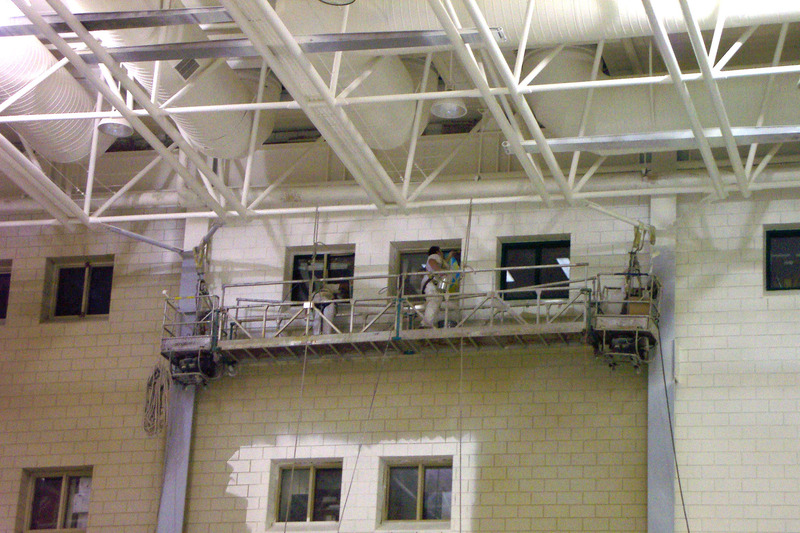 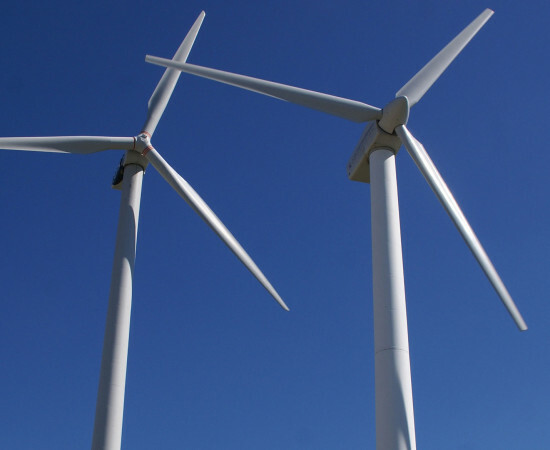 Afterwards, the application of acrylic industrial coatings was applied. 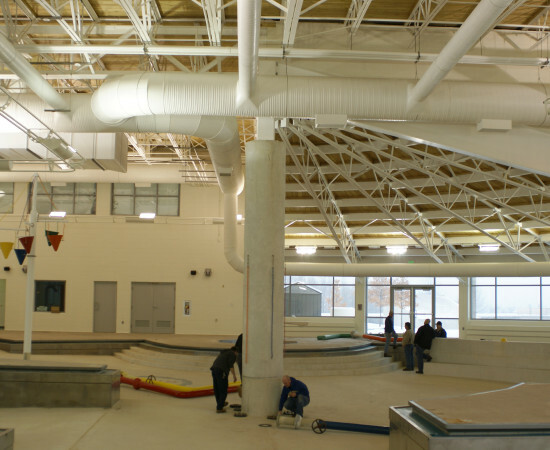 The walls were washed and painted; both the main and practice pool areas were washed and painted. 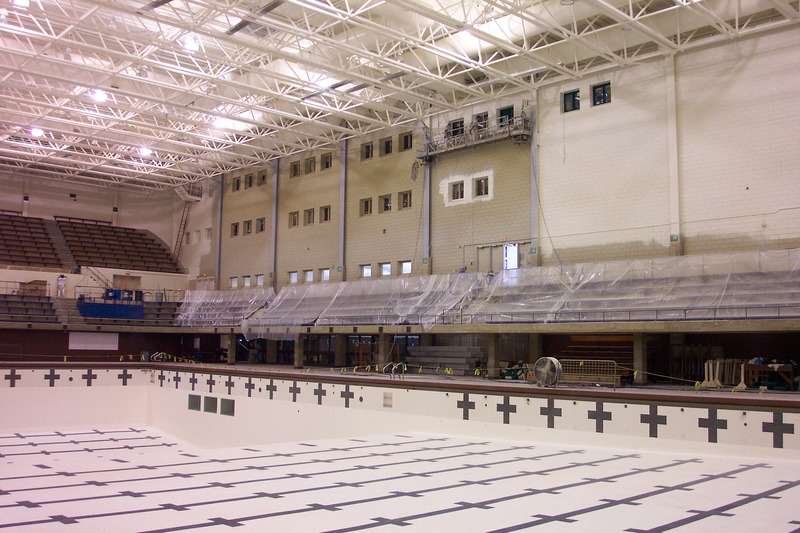 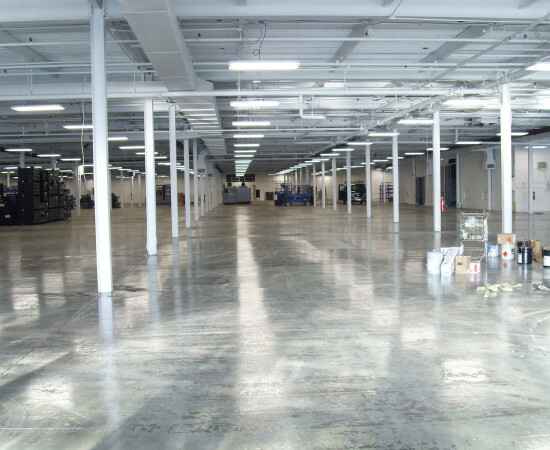 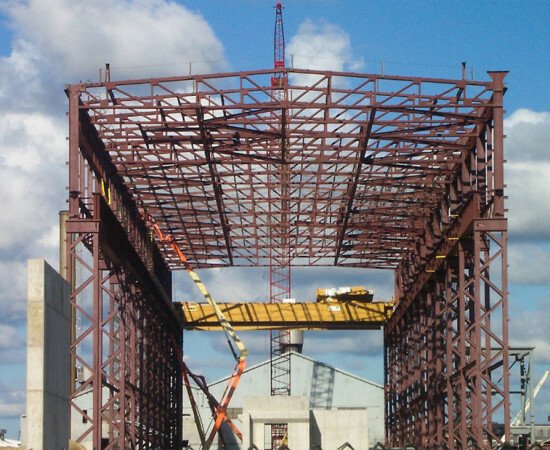 In addition, wet abrasive blasting was used to remove the existing deteriorating coatings due to chlorine. 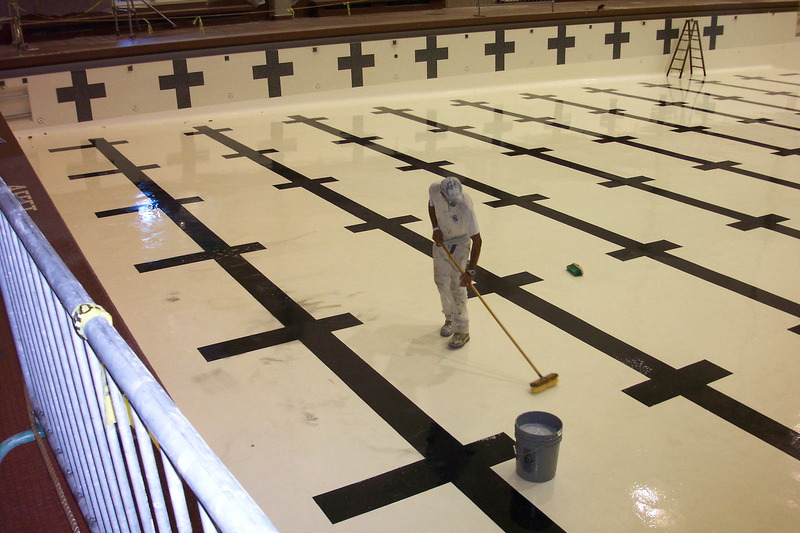 Several cracks were found and epoxy injections were used to repair them before the pools were refinished.